Take a first look at the Tarte Grav3yardGirl Swamp Queen Palette with Phyrra! If you are among the many people who seek soft and smooth skin for the summer, then Lola's Secret Beauty Blog wants to introduce you to African Botanics Marula African Muti Mud Mineral Body Scrub! Not only does it lift dead skin cells, but the African Muti Mud also detoxifies impurities. This is the most covet-worthy body scrub imaginable, and it smells like cocoa! Springtime means gorgeous pinks and corals. Allison from Never Say Die Beauty thinks that the stunning shades from the new Mirabella Beauty Lighten Up Collection for Spring 2016 were made just for her. Check out her pix, swatches and review and see if they’re perfect for you too! Pammy Blogs Beauty gets Beachy hair this Summer with new products from TIGI Bed Head! It doesn't get much more glittery and glitzy over at Blushing Noir than this palette from Natasha Denona! Prime Beauty is getting her summer glow from the Mirabella Lighten Up Collection, it's perfectly pretty. 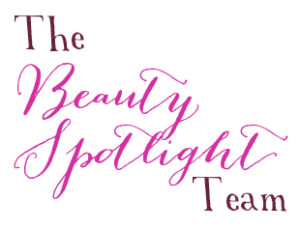 Justina's Gems wrote about three new products from Anastasia she is enjoying. Check them out! Beauty Info Zone is all about great skincare and giveaways. Learn about the improved Reviva Labs Alpha Lipoic Acid, Vitamin C Ester & DMAE Cream while trying to win one too. 15 Minute Beauty doesn't get to go out often, but when she does she likes to dress up! She shares her fast day to night hair and makeup refresh! Christa at Perilously Pale is giving away the entire Bite Beauty Amuse Bouche Sweet & Savory Lipstick Collection! Don't miss your chance to take home this gorgeous, and unique collection of lipsticks!